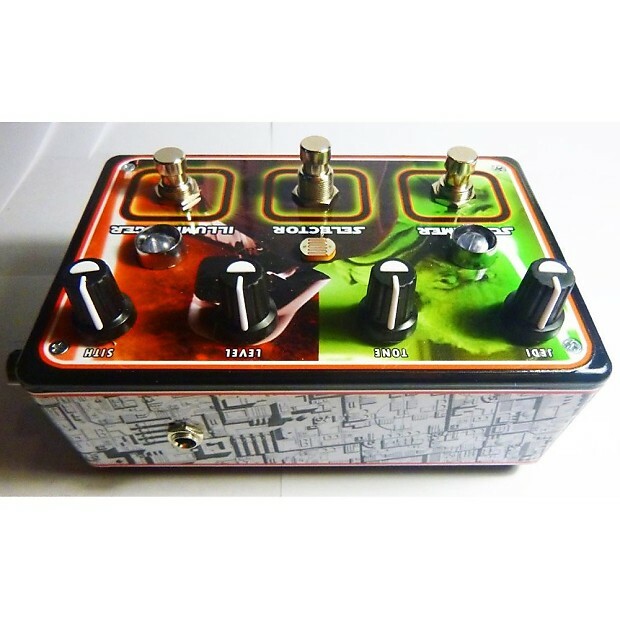 The Illumiringer V1.5 is a 2-stage hybrid pedal with a gain pre stage (based off an Ibanez TS-808 and option for TS9 circuit) with controls for gain ("Jedi"), Tone, and Level which can be used on its own or drive the Illumiringer side, a light/motion-controlled ring modulatorwhich has controls for "Sith" and level (the knob on the right fo the box). 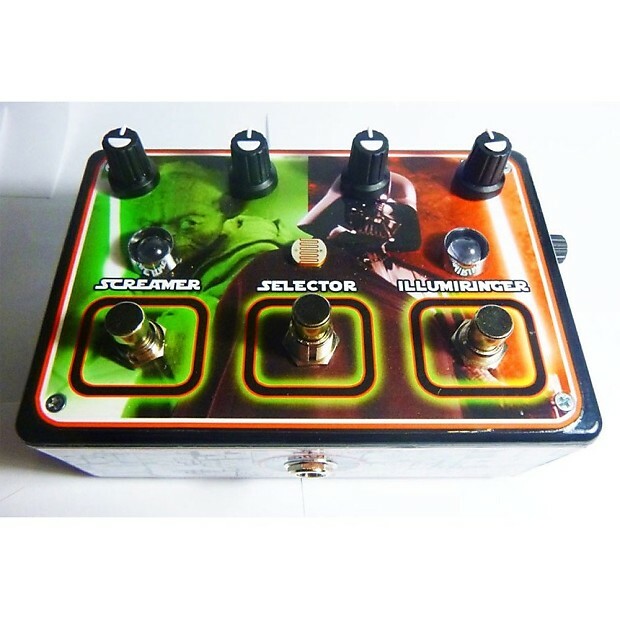 The Illumiringer side can also be used on its own without having the gain pre on. Expression pedal (insert into the "Touch" jack on back of the box). A theremin-like photo eye sensor accessed by hitting on the "Selector" stomp switch in the middle. Or plugging in the touch-sensitive cable (included, goes from 1/4" to two touch-sensitive alligator clips) into the "Touch" jack to use whatever conductive objects (especially metal) as a controler for the Illumiringer parameter! 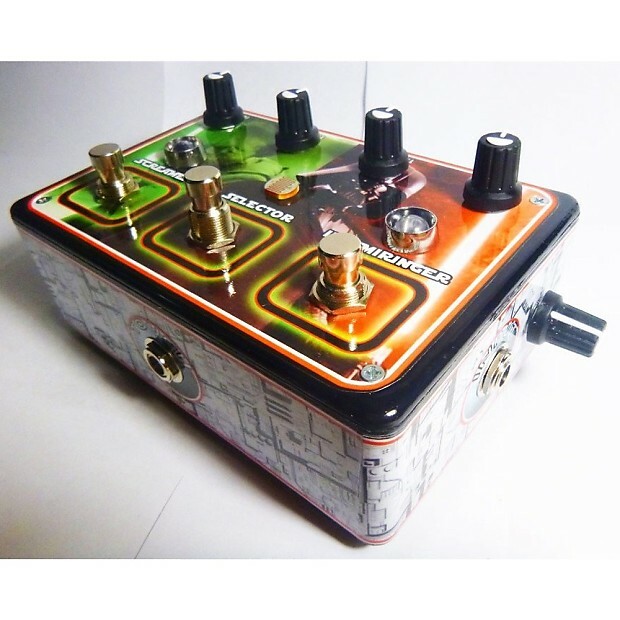 Watch Dr. Blankenstein's demo video for more information and to get a taste of what this pedal is capable of! BUT probably even more exciting is... for the first time EVER... a pedal that will achieve BOTH the Ibanez TS-9 and TS-808 distortions! 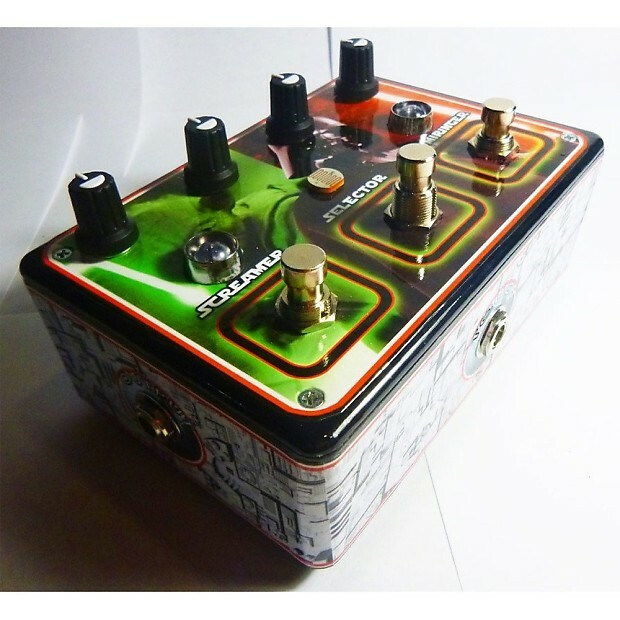 Included in this auction is two swap-able gain modules. Just open up the top, pop out the module and put the replacement in the same place.. DONE! You have turned your TS808 into a TS9 (and vise versa). 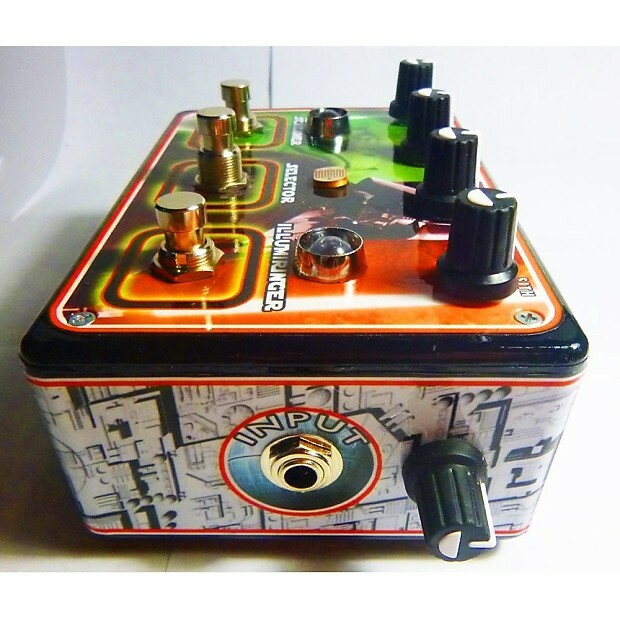 AND as an added Bonus you will also get a custom made Dr. Blankenstein Germanium Diode Distortion Module, for a distortion character not found in any other pedal. Last but not least... 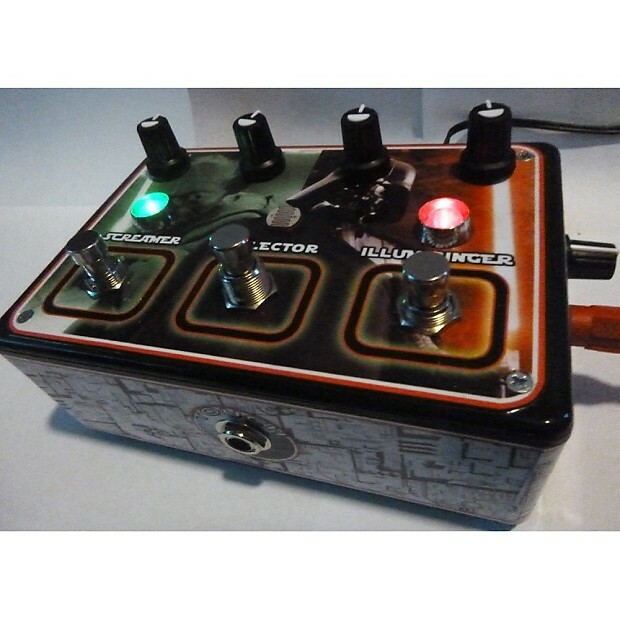 I changed the LEDs from the last version of the Star Wars pedal to the largest ... brightest GREEN AND RED LEDs money could buy ;) These suckers are BRIGHT! Really adds an amazing ambience to the area around the pedal when playing with the motion sensor and changing settings (it lights up your entire foot! lol). 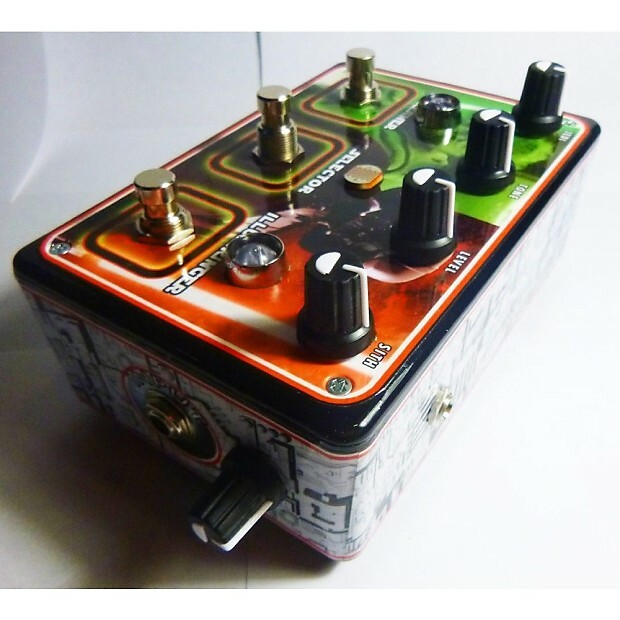 Also coming with the pedal is a custom Dr. Blankenstein touch sensitive cable, and 9V Power supply.. I didn't have a chance to make a new demo video yet... so you will have to check out the old one for the time being. WARNING.. it is long.. use the sections shortcuts below to jumps around and check it all out (or for the brave... watch the entire thing). Please note before watching.. again, this is the VERSION 1.5 .. NOT 1.4. 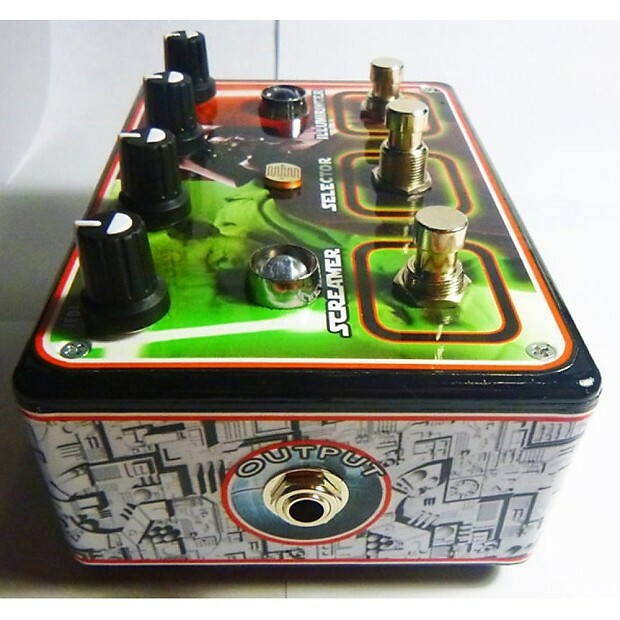 Meaning it has the swap-able distortion modules, extra volume knob and HUGE LEDS. Thanks for looking... let me know if you have any questions. - SUPER COOL JEDI (Yoda) VS SITH (Darth Vader) STAR WARS THEMED GRAPHICS! - NEVER ENDING WORLD OF NEW TONES AND WAYS TO CONTROL THEM!